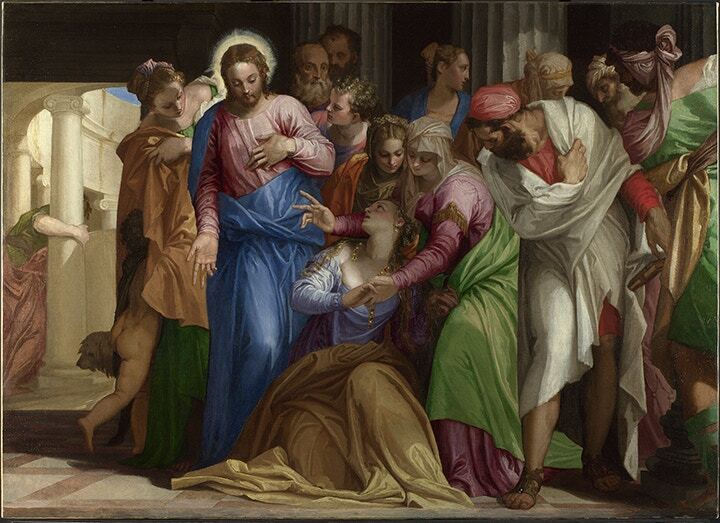 Pioneer of the magnificent Venetian Renaissance, most famous for his grand scale paintings of beautiful architecture, religious and mythological studies, Paolo Veronese's life and works are celebrated at the National Gallery this spring. Cass Art is proud to be partnering with the National Gallery to provide customers with an exclusive 25% discount ticket offer. Thanks to support from Titian, and working alongside Jacopo Sansovino and Andrea Palladio, Veronese came to establish his role as one of the leading artists in Europe. Working in frescoes and oils on canvas, creating detailed altarpieces, portraits, religious displays and sketches, Veronese's masterpieces were commissioned all over Italy. The exhibition features a vast total of around 50 of his works. With some major loans travelling to London from across the globe, it marks the most significant collection of classic pieces by the artist ever to be displayed in Great Britain, many are reunited for the first time in hundreds of years. Due to the sheer enormity of the works, the National Gallery was required to re-hang their existing collection in order to accommodate Veronese. Feeling inspired? Pick up a large scale canvas and set of oil paints to begin painting like Veronese yourself, or start smaller with a sketchbook and a wash of ink or study in Conté crayons. When you shop in-store or online throughout April and May, you'll receive our fantastic Art Offers leaflet which includes a voucher for 25% off full priced tickets to Veronese: Magnificence in Renaissance Venice. Simply present your 25% off voucher at the National Gallery Sainsbury Wing ticket desk to redeem the offer. Check your Art Offers leaflet for more discounts for exciting exhibitions and brands across the UK. Shop online now to receive your free Art Offers leaflet, exclusive to Cass Art customers. Follow Cass Art on Facebook and Twitter for the latest art news, reviews and exclusive customer benefits. More information about the National Gallery and the Veronese exhibition can be found on the National Gallery's website. Veronese: Magnificence in Renaissance Venice is sponsored by Credit Suisse.